Your Child's Favorite New Mix & Match Friends Are Here! Meet the Animoodles! This is a sponsored conversation on behalf of Animoodles. All thoughts are my own. Do you ever stop and take the time to simply enjoy watching your kids play - or better yet, playing with them? As a parent, I can honestly say that it's one of the greatest joys in life. When you know your children are happy and are enjoying themselves, there's no greater feeling. Their smiles are priceless. Those laughs that echo from the depths of their bellies are so innocent, and I truly wish that they'd never end. These are the moments that I savor as a mom, and let me tell you, they're not always easy to come by. We live in a day and age where toys are in constant competition with one another, and with screens. My husband and I have had to come up with creative ways to have our son cut down on screen time. It was slow-going and pain-staking at first, but the more we denied the screen time, the happier he was just playing with his toys. We have a pretty creative kid, with a wild imagination. He loves to pretend and loves to involve his stuffed animals in his make-believe adventures. We've been having a lot of fun with our newest friends, The Animoodles. Plush toys and stuffed animals haven't changed much over the years. Most kids probably have fond memories of a favorite stuffed friend. I had several when I was growing up that I still hold dear, 34 years later. 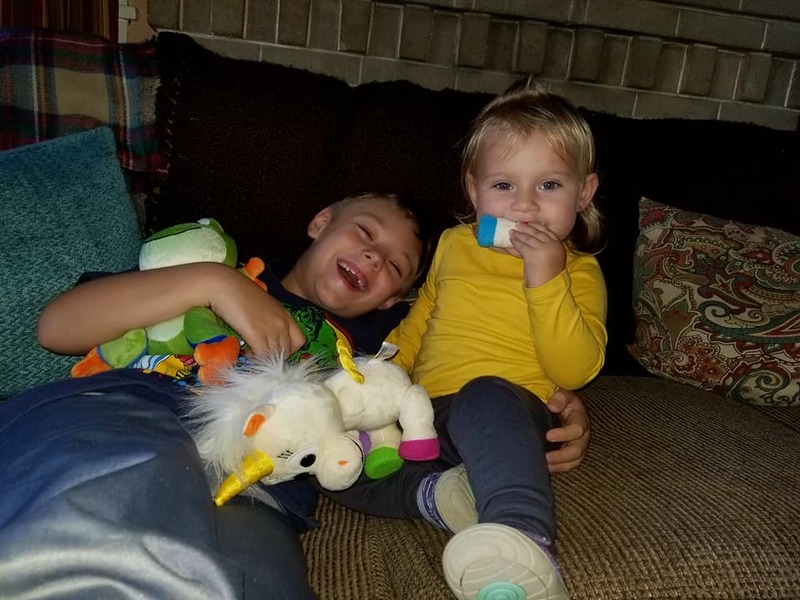 My kids love their plush pals, and they've been having a wild time with their new friends, The Animoodles. These aren't just ordinary stuffed animals. They are adorable mix and match plush building sets that can be enjoyed over and over again by kids of all ages! Created by husband and wife, Al & Melissa, The Animoodles mix & make endless combinations with fully interchangeable & rotating parts! It's a whole new world of fun and adventure for kids, with cuddly pals they'll never want to put down. 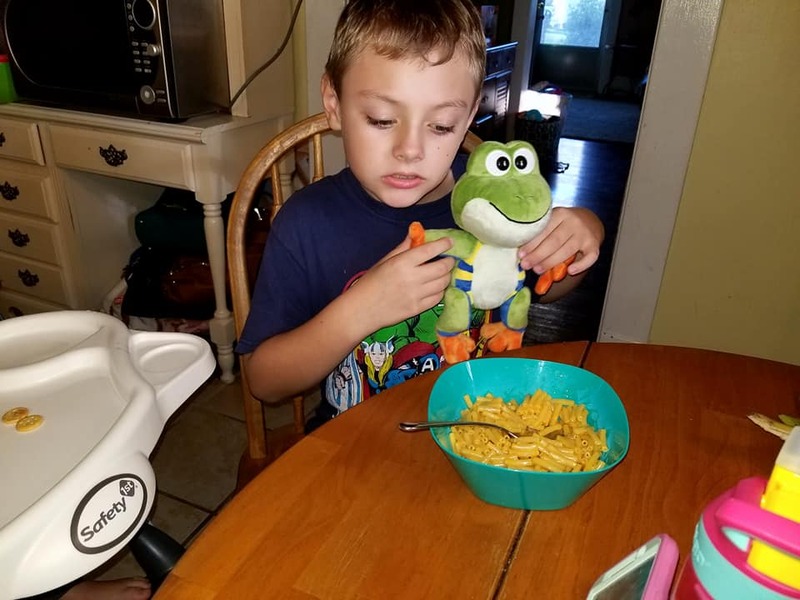 Sharing some mac & cheese with Miguel Frog. B loves his new friend! Animoodles are the most creative plush toys we've ever seen or experienced. 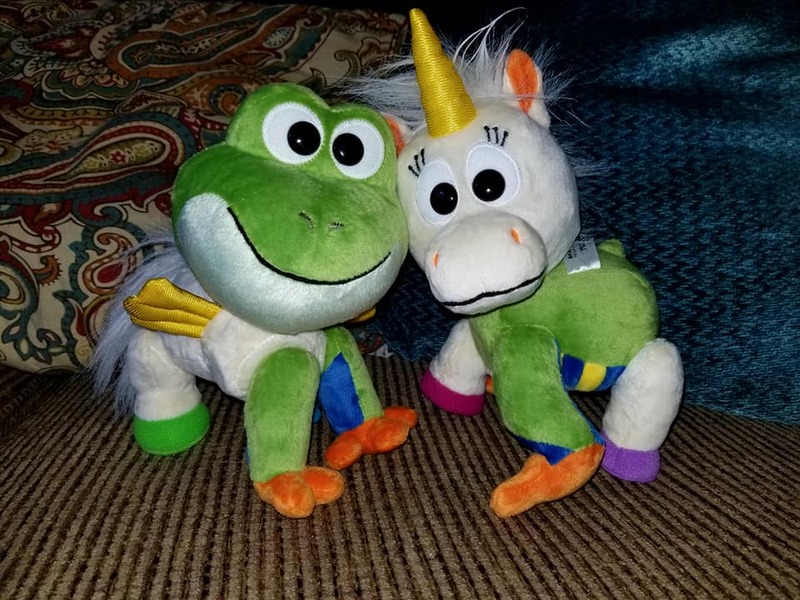 A lot of the stuffed animals my kids have received in recent years wind up in a pile in their bedrooms, but not these guys. The Animoodles have been 'living' with us ever since we received them, and I don't see that changing anytime soon. The Animoodles have been dining, sleeping, and having a lot of play time fun with both of my kids since their arrival. Mix them up and create totally new mashed up Animoodles! What makes the Animoodles different? They're incredibly fun, as their heads, arms/legs and torsos are interchangeable. They're soft, magnetic pieces that can be mixed and matched, again and again, allowing your child endless options for creative play. My kids want to play with their Animoodles rather than watch TV, and that's incredibly exciting to me. So far, our Animoodles have had some fun adventures with the kids, playing pirates, safari, going on walks, and fun sleepovers, too! 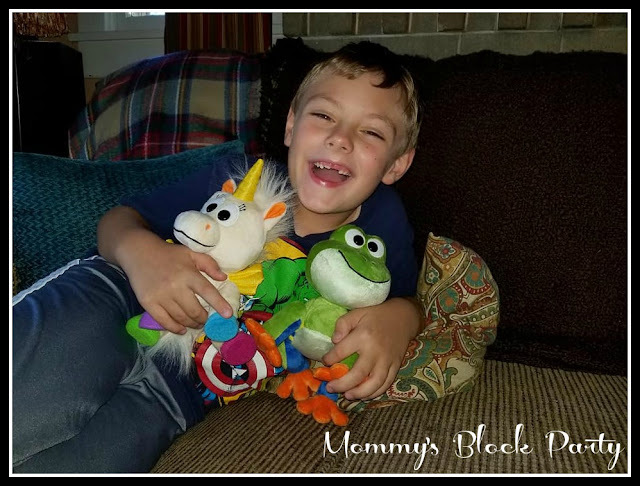 Miguel Frog and Iris Unicorn are so much fun for the kids, and for us as parents, too! 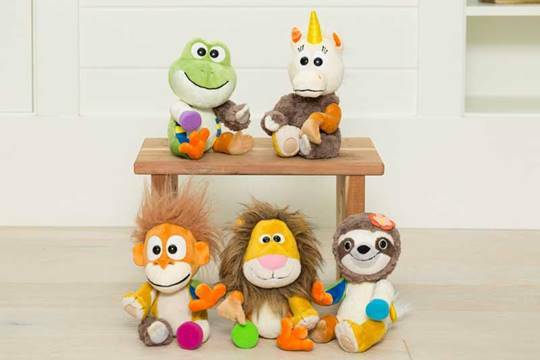 We're really enjoying they ways our kiddos are playing and interacting with these creative new plush pals. What I love most, is that it gives them a creative outlet, away from a screen, and it allows them to see just how beautiful and unique we all are. These adorable buildable plush animals teach kids a valuable lesson, and that's something you can't put a price on. Want to get in on the fun? Check out Animoodles! Visit the Animoodles campaign page to learn more about how you can be a part of this wonderful world of creative toys! Animoodles should begin shipping out in the spring of 2018. We can't wait! Connect with Animoodles on Facebook, Twitter, Instagram, and YouTube. Animoodles fully funded in just 11 hours and by Sunday, 10/22/17 it had topped 250%. It is currently the #3 most backed & most funded live “toy” campaign on Kickstarter globally! Kickstarter has selected them as one of the coveted “Projects We Love” and as a “Featured Product in Design.” And at last check, it was ranked #46 most popular campaign on all of Kickstarter globally. Special thanks to our friends at Animoodles for allowing us to be among the first to experience the fun and wonder of these amazing toys!